Shaper (Jose Pineda) and Creator (Bob Sheire) bring animals to life in FABULAS MAYAS. Photo by Lonnie Dale Tague. Just a quick note here on some changes around the website that you might want to take a look at! We have new video up on the Cabinets of Kismet page, so if you didn’t get to see the show, check that out for some highlights. 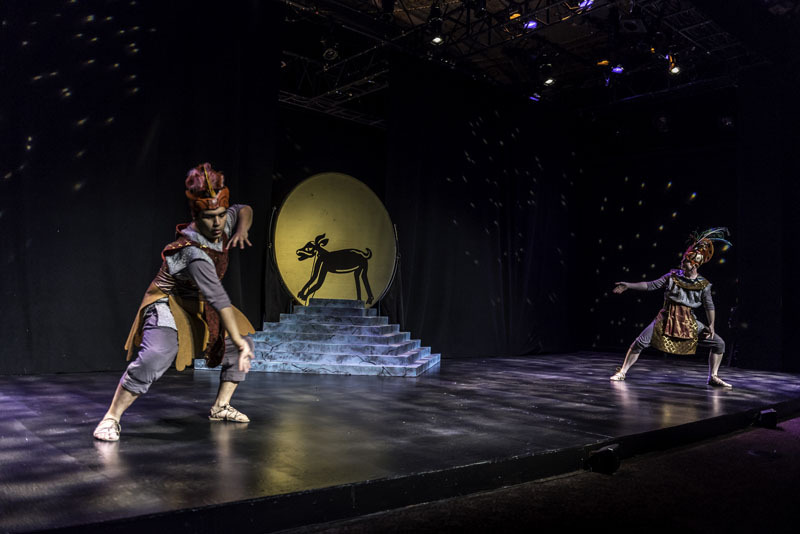 If you didn’t get to see our show Fabulas Mayas, it now has its own page, with photos. We have some new additions to our Friends and Family page; people who have great work and cool projects that you can support. Finally, on our Education page there are new descriptions of the workshops we offer to schools and community groups. If you are interested in having us come to your school, please send us an email! This entry was posted in Workshops, World and tagged arts education, Cabinets of Kismet, Fabulas Mayas, Friends and Family, photos, puppet workshops, video, website update by ccbooks. Bookmark the permalink.